Using a Commission Based Online Ordering Company? Have you looked at your statements lately? If you are a restaurant owner and use an online ordering service for your take-out and delivery orders, then chances are you are paying a percentage of every dollar spent through that ordering system to the service provider. Every. Single. Dollar. Since those dollars also cover food costs, labor, and other important overhead expenses, how much are you able to keep from those to-go order dollars? Pennies, if you are lucky, but for many restaurants the truth is often that they are sacrificing their profits from online ordering just to stay competitive. Many restaurants do not even realize what they are paying until they look at their statements. In most cases it is several hundred to several thousand dollars a month. Let’s face it. In today’s modern, digital, socially-networked, smart phone kind of world, not having an online ordering system seems almost archaic. Worse, the potential of losing business to a competitor who uses one of these services, can make online ordering feel like a requirement, rather than an option. Your food is delicious, and you want it to reach as many mouths as possible, but you don’t want to go broke through paying a high percentage of every online order to a service provider. After all, your menu printers don’t charge a percentage of your orders, and neither does your point of sale company, so why should your online ordering service? Until recently, the only available option has been to pay a commission, averaging about 14% of each order (gasp!) to an online ordering company, but there is a different idea making waves in the industry; an idea that could change the game. Big time. What game, you ask? How about the game of corporate greed destroying small businesses. Or, you could think of it as the Game of Forks, and the Lannisters are in charge. According to an article published by NPR on August 12, 2013, common commission based online order companies don’t just charge a percentage based fee, but also tack on additional charges and even increase percentage rates if the restaurant starts making more moolah! Now that’s just appalling. Most restaurants are owned by small business owners are working to make money for themselves, not for online ordering services providers. So, what’s the alternative? 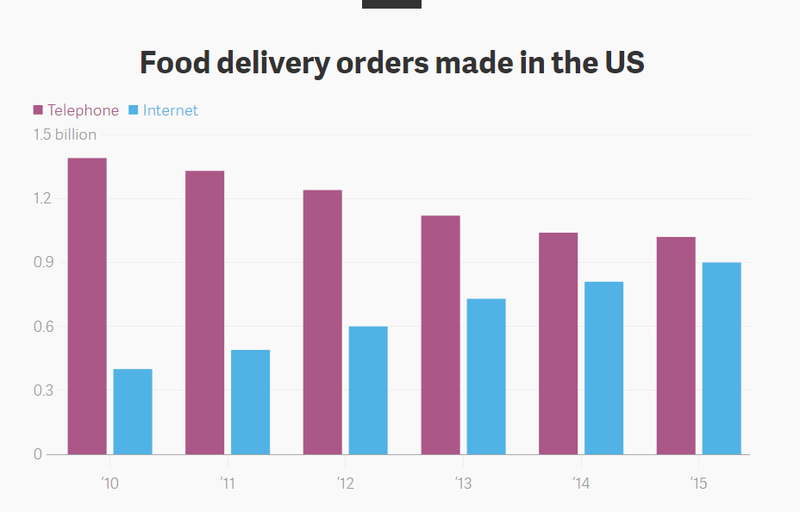 Food Online Ordering Systems only charges a low flat monthly rate instead of a percentage of each order. Now THAT’S an idea! Rather than paying a commissions, with rates that vary depending on how much business your restaurant pulls in, you could be paying as little as a just few bucks a day for the same service. 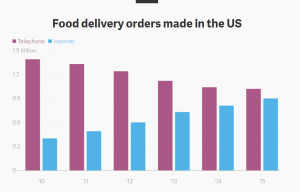 With a flat rate, the cost of your online ordering service doesn’t change, you pay roughly a $150 per month whether you sell $3,000 or $5,000 worth of delivery orders, while a 14% commission would mean paying $400-$600 on the same orders. One doesn’t have to be the Master of Coins to see the value in flat rates over commissioned rates! The theft is about more than money. It’s about your customers and your dream. Your dream to have a successful restaurant, make money, and feed hungry customers in the process. When profits for orders that typically represent a large percentage of one’s business are being gobbled up by an online service provider, then it is hard to stay afloat, let alone get ahead. When you can’t get ahead, other restaurants are able to move in and take business away from you. When you lose business, your dream slips away. Greedy commission-based companies are taking away more than just your money – they are threatening your bottom line, taxing you for being successful, and making you dance to their tune. They are stealing your dream. Maybe it’s time to take your dream back. After all, you deserve to be successful, and no vendor should have the power to take that away from you, especially when there are other alternatives devoted to helping you grow your dream, rather than steal it from you.